The rising cost of poultry feed and decreasing egg price are turning poultry business into a less profitable business for poultry farmers. 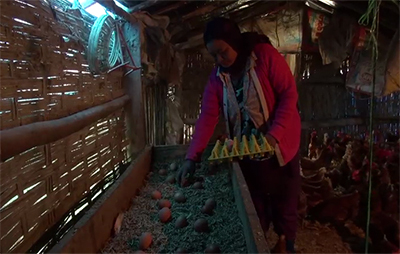 The farmers of Taabji village under Darla Gewog fear their business will hit rock bottom if the price of eggs in the markets keeps falling. 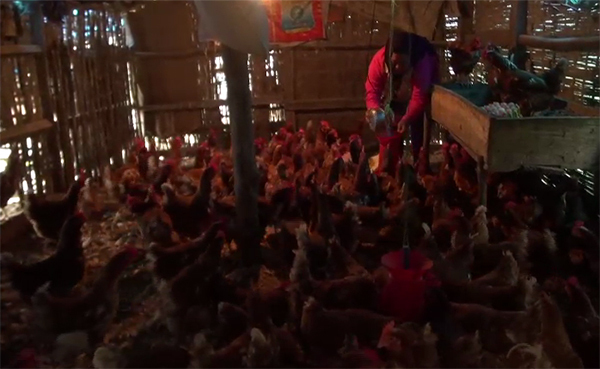 Budi Maya, a farmer from Taabji, started poultry business in 2011. Her poultry farm gives her three trays of eggs every day, which she sells to a local agent at Nu 160 per tray. She spends Nu 1,400 for 50 kilograms of poultry feed but that lasts for only three to four days. “The business is no longer lucrative. The price of the feed keeps rising, while the egg price continues to drop. If the trend continues, I will have to quit poultry farming,” said Budi Maya. Some have already scaled back their business. Lal Bahadur opened his poultry farm in 2011 with 400 chicks. “But now with the business slowing down due, I had to cut down the number of chickens to 200,” said Lal Bahadur with much disappointment. There are eleven other households in Kaabji who owns poultry farms and their story is no different.